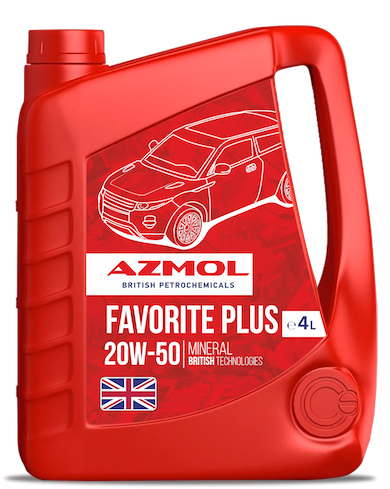 AZMOL Favоrite Plus 20W-50 is a high quality mineral engine oil that is suitable for most four – stroke gasoline (multi-valve, tube-charged, etc.) and diesel engines (with or without tube-charged) of cars and light trucks. Due to its composition provides for very good resistance to oxidation and optimal detergent and dispersion properties are obtained. Permanent oil film guarantees a high lubricating ability. Recommended for areas with hot climates. shear resistance, good lubrication when used in both heat and cold weather.